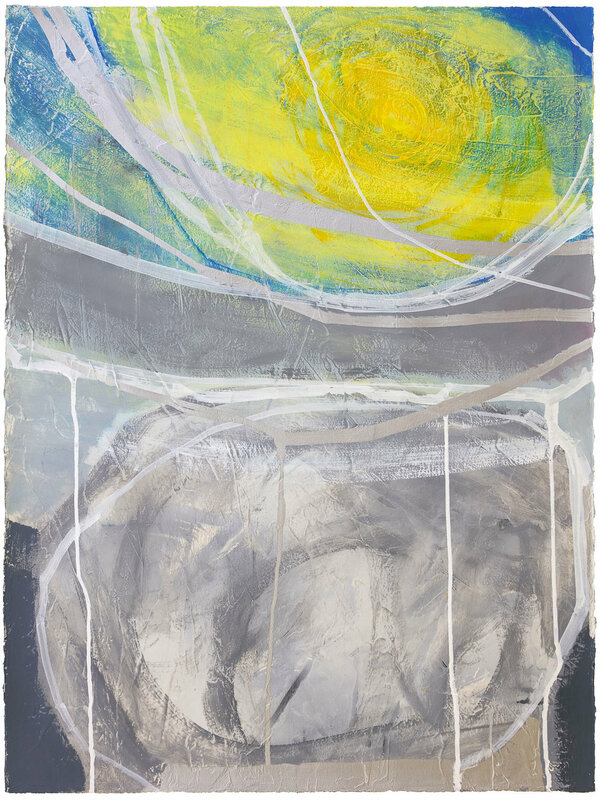 Susan Eley Fine Art is pleased to announce the opening of “Of Earth and Sky: Recent Paintings by Rachelle Krieger.” This is Rachelle’s second solo exhibition at SEFA, following “Rocks and Rays” (2015), and two previous two-person exhibitions: “Currents of the Mind” (2013) and “A Semblance” (2010). 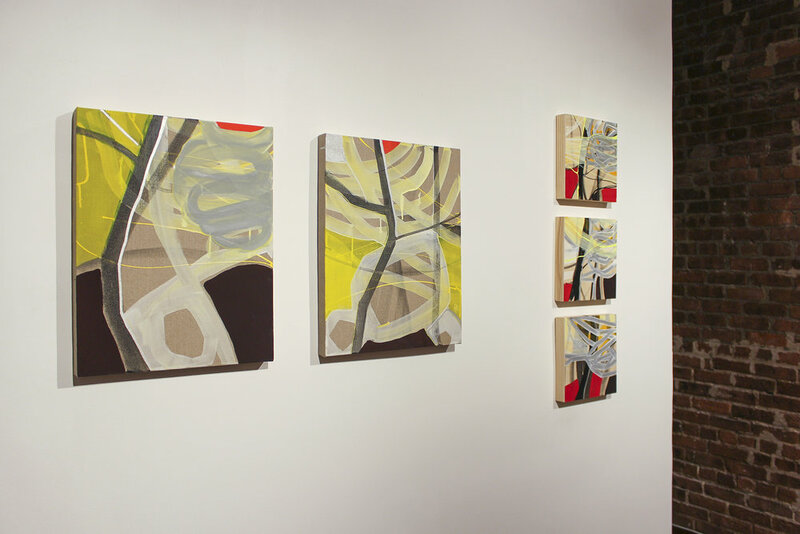 We will celebrate the opening of the exhibition with a reception for the artist on Wednesday, February 28, 6-8 pm. 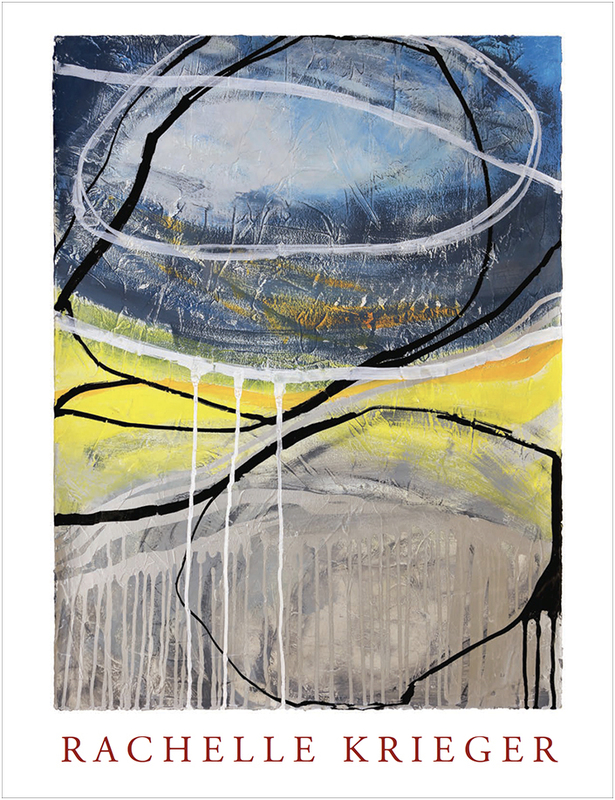 The recent work is a continuation of the “Rocks and Rays” series, begun in 2015, in which the artist explores the dance between natural phenomena that is invisible (electricity, light waves, wind, air patterns) with the solid elements of earth and landscape. 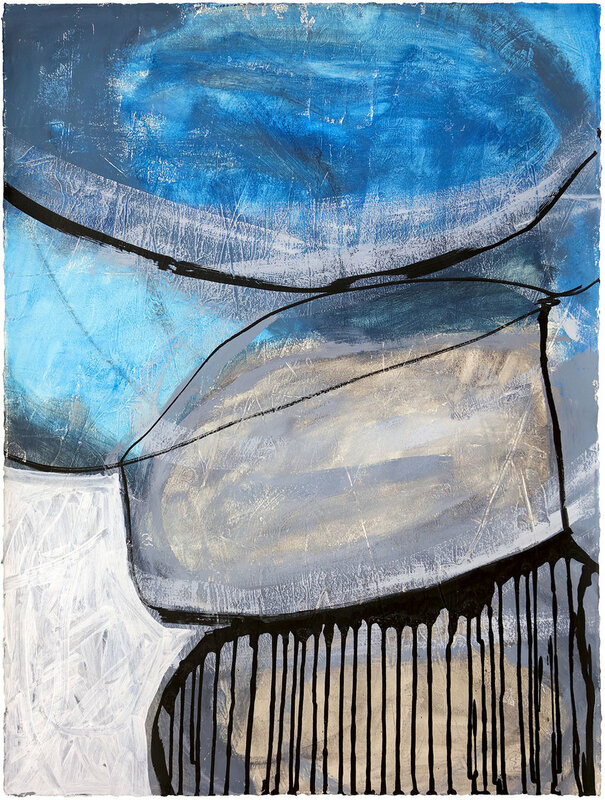 “Of Earth and Sky” includes paintings on linen canvas and on wood panel—ranging in size from 54 x 50 inches to as small as 8 x 10 inches—along with a suite of works on paper. 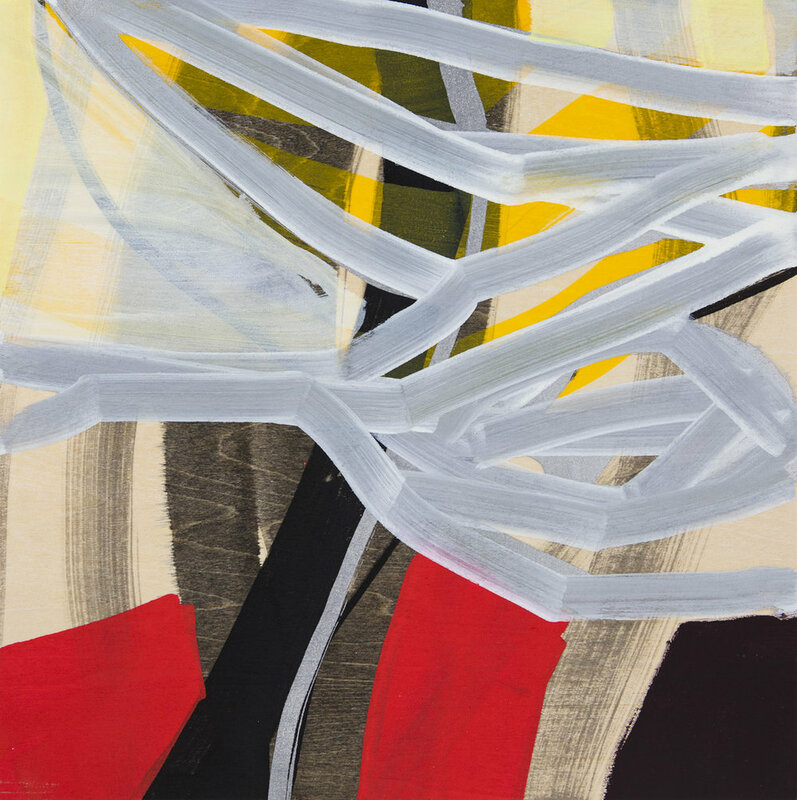 While Krieger hints at elements of landscape across her canvases—spherical shapes for rocks and boulders, dynamic lines climbing up and across the canvas for trees—she is really after an expression of what occurs in the atmosphere, far above ground, and how those occurrences affect what we can see, feel and touch back on the earth’s surface. 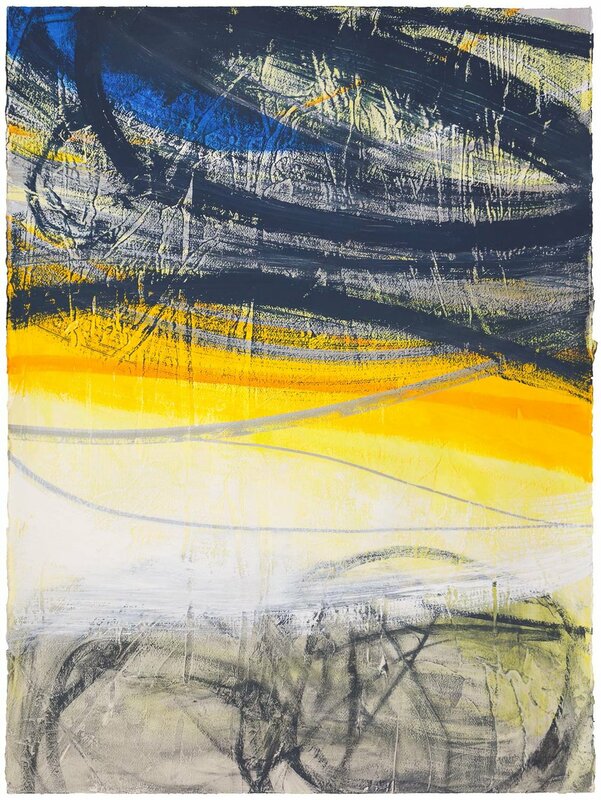 Through the artist’s unique mixture of materials, applied with her signature expressive and bold brushwork, Krieger tackles what is in constant flux—the sunlight, rain electrical storms, thunder, wind and air. 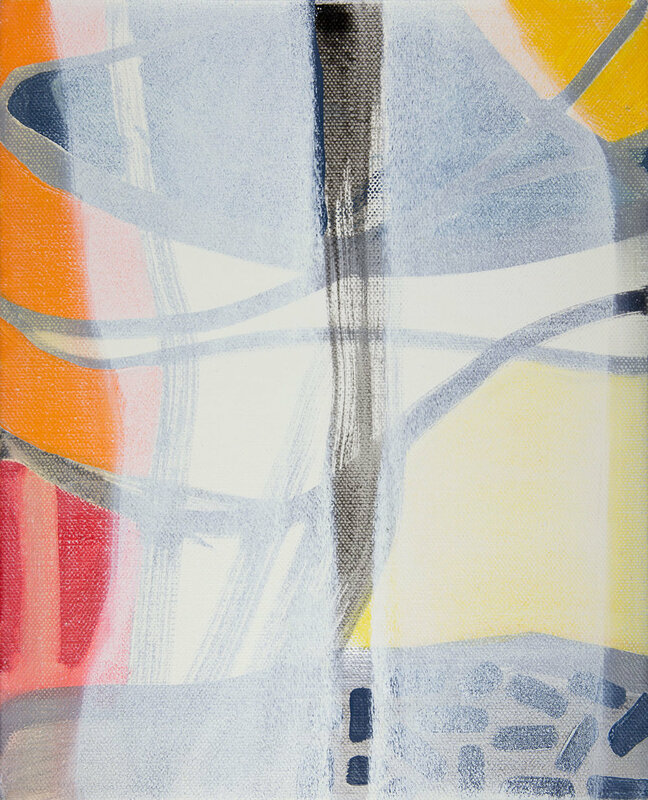 In Chaos Theory 3, Krieger used Flashe paint to create solid opaque matte shapes, referencing the earth, the grounding stability. 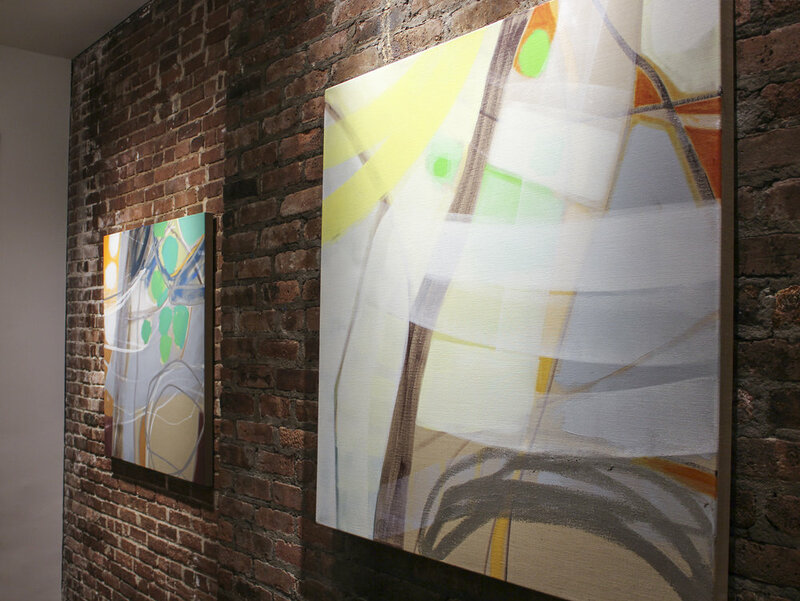 Crisscrossing these shapes are yellow drips and drips off drips painted with graffiti acrylic that form a linear web, referencing currents of air or electrical energy. 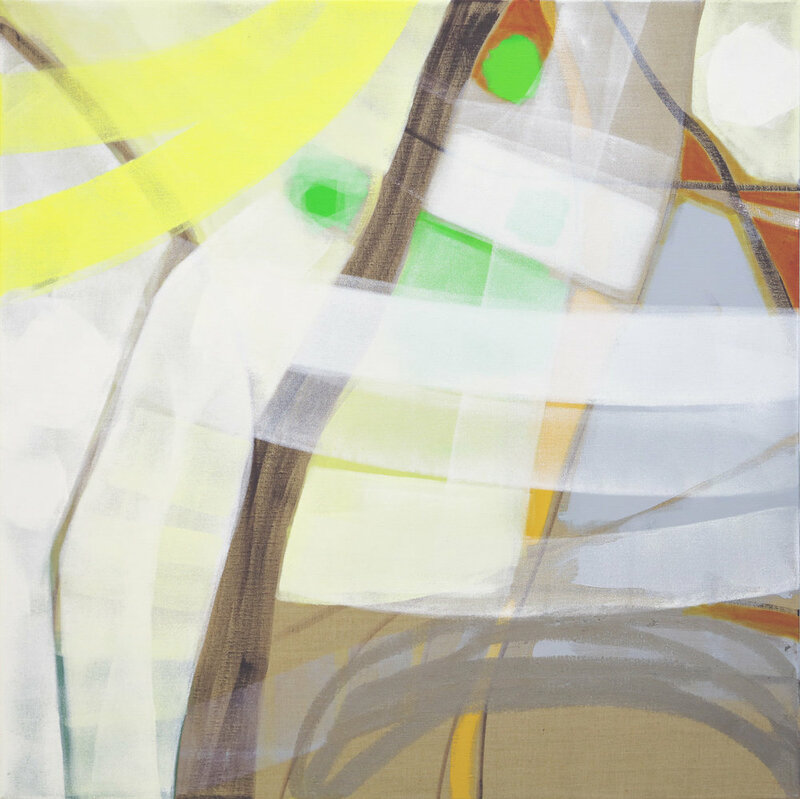 Branches with Light Rays 3 exemplifies the artist’s use of the bright, nearly acidic yellow permeating the canvas. One can almost feel the steam heat rising through the trees. Most of the recent paintings are on raw wood or linen, representing the earth’s elements, that frequently are left to show through as a painting element. 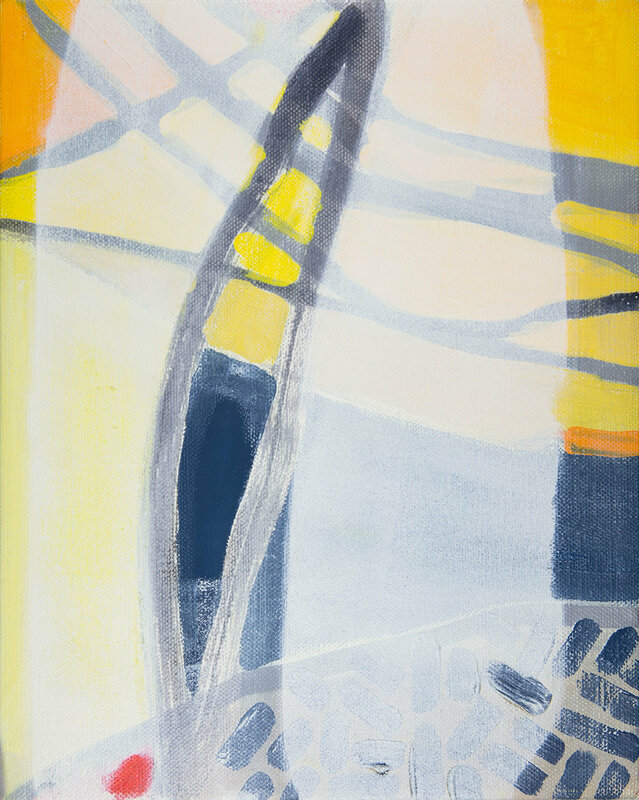 Krieger also has an active practice of painting on paper, achieving similar translucency in the layering. The layers in Rocks and Rays 19, for example, reveal an exciting clash of atmospheric conditions. 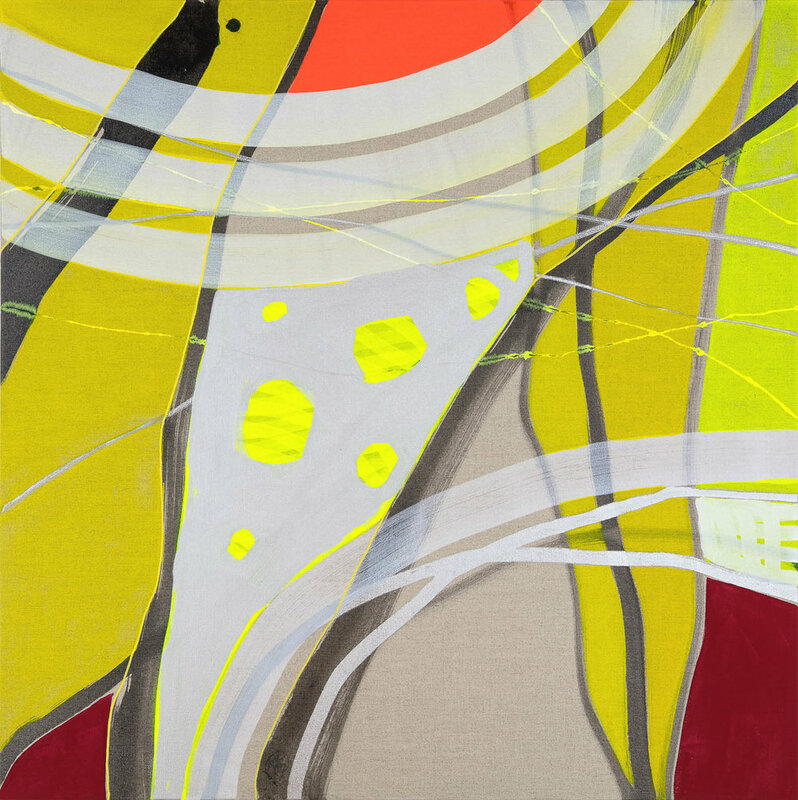 Clouds, sunlight and haze emerge in an energized swirl of color and form. 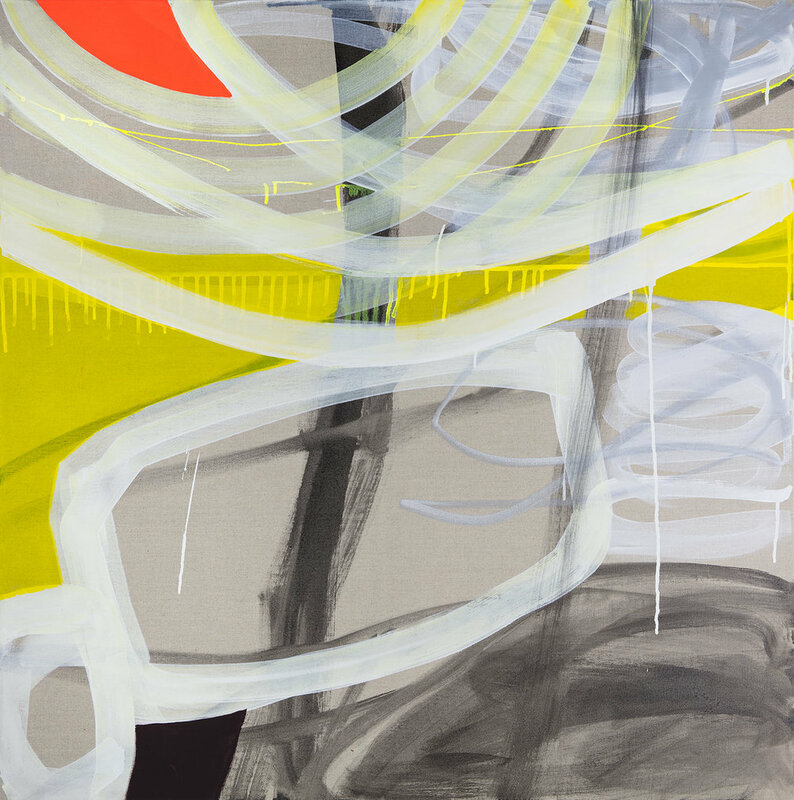 Krieger’s recent paintings buzz with atmospheric energy, ultimately stirring and electrifying the air around them.